Whatever your taste in decoration, an element of visual contrast is a great way to make your home more interesting and personal. Something oppositional or unexpected awakens the senses. 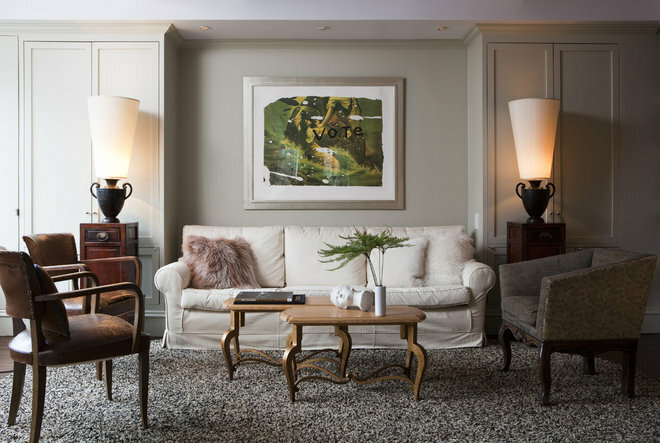 There are many ways to introduce invigorating contrast into a space, and art is one of the best. 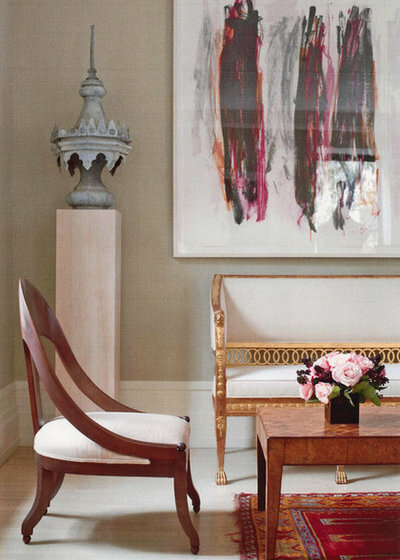 Here are some examples where modern art breathes life into traditional rooms. 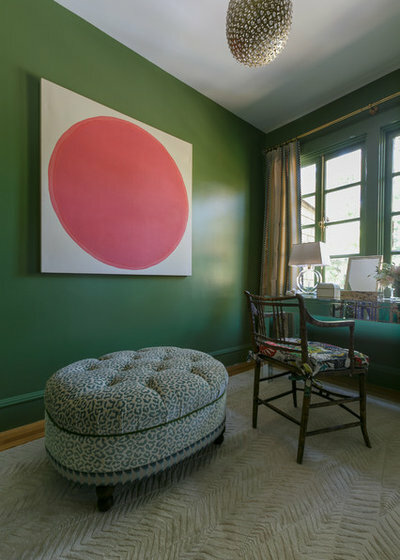 A simple pink circle painting creates a modern focal point and a vibrant contrast to the green walls of this traditional dressing room. 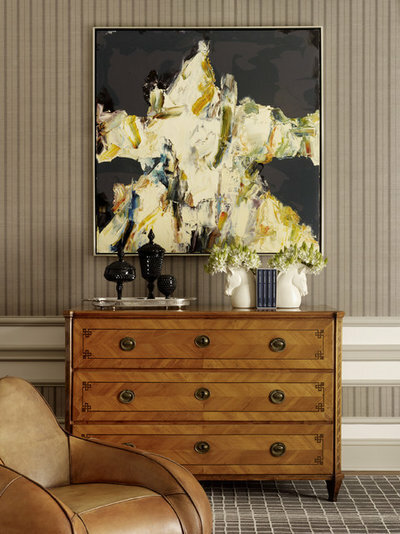 In this masculine space, a bold and playful abstract painting is juxtaposed with understated linear wallpaper and carpeting. 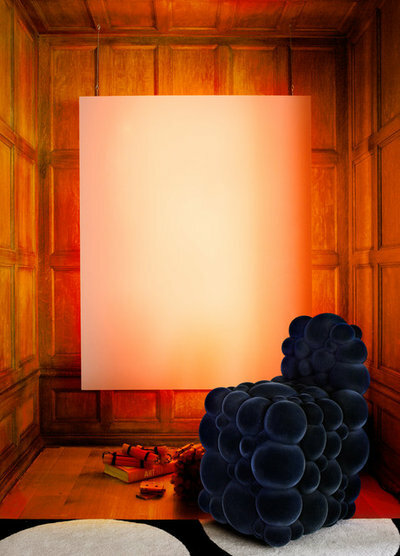 A minimalist glowing screen and a Bubble chair — which is as much a sculpture as a piece of furniture — provide a counterpoint to traditional wood paneling here. 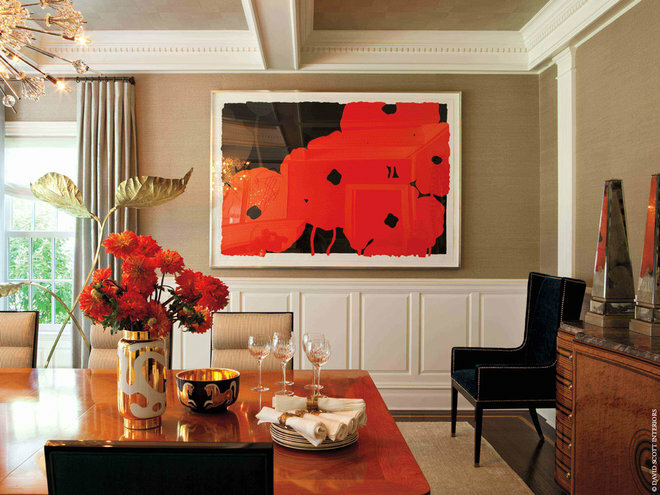 Bold red flowers on a black background command attention in this neutral dining room. In this restrained classic-style space, an abstract drawing reinforces the color palette while adding movement and energy. 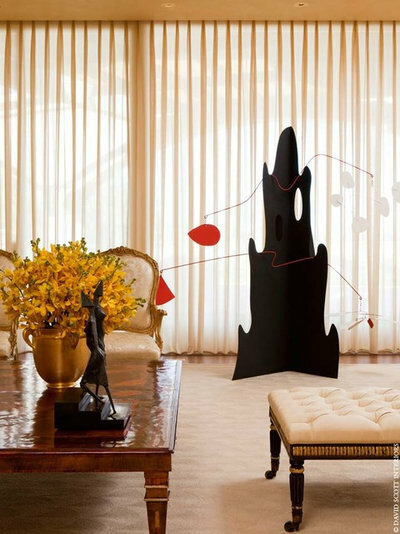 A free-form black and red kinetic sculpture is a dynamic counterpoint in this understated classic-style living room. A provocative painting anchors this traditional living room. 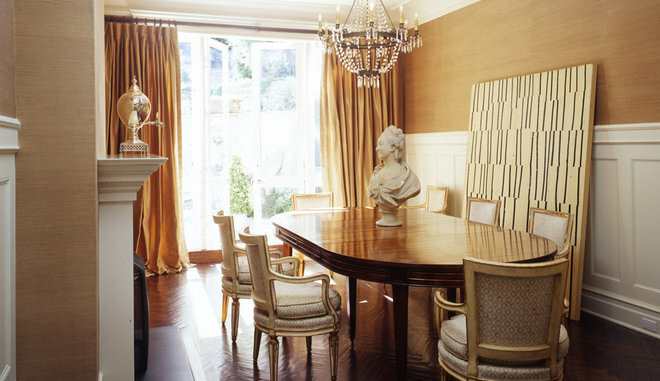 A large-scale painting leans against the wall of this classic-style dining room, adding a bit of the unexpected yet keeping within the neutral color palette. 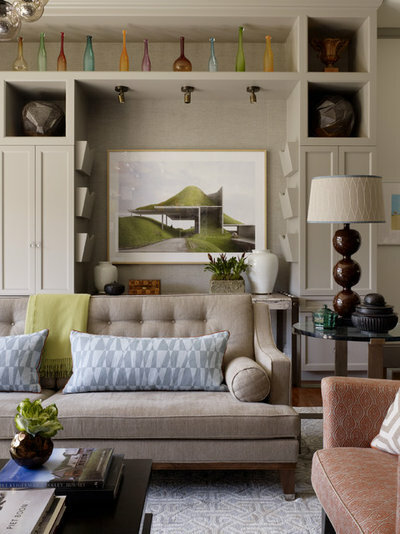 A large digitally altered photograph adds a modern edge to this transitional room. 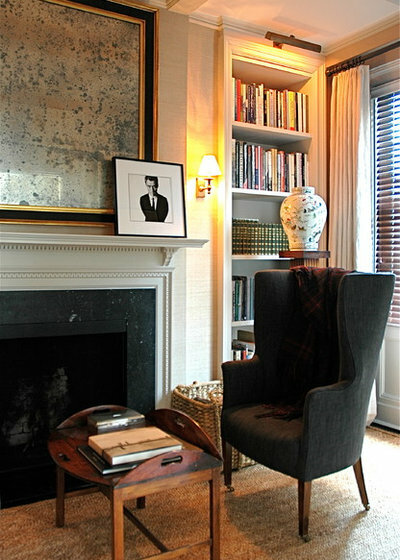 A small yet striking black and white portrait with a simple frame leans on the mantelpiece here, providing a modern focal point in an otherwise traditional room.